Whatever their angle, they make sure they start a building project with the right tools. Yet when I talk with small business owners, the majority haven’t given more than superficial thought to having the right tools. Most will have a bookkeeping system and some idea of how they are going to sell. All of them know how they’re going to produce what they’re selling. In most cases, they’re quite good at it. Often they plan to do everything themselves. And that’s fine. But it’s rare that any of them have all 5 tools mentioned in this resource guide. When I allowed these tools to work for me, something very unexpected happened. In my first year of business, prior to using these new tools, I did respectably well. I was pleased with sales because it was far more than I expected. I was using a traditional approach. We’d mail some letters, get appointments for in-house demos, and go on the road to close the sales. It was a lot of work but I was finally starting to make a living. Then I started learning about some particular direct response marketing techniques. But more importantly than the techniques were the tools used to implement them. The combination of business tools had such an exponential effect on sales growth that we had a hard time keeping up. In the first year, sales tripled from the low six to seven figures. Within two years sales had doubled yet again. Our company’s growth was such that we were named to the Inc 5000 list of fastest growing private companies in North America. Now that kind of growth is something I didn't want to ignore, for obvious reasons! I never looked back and I’ve never stopped using the tools I reveal in this report. Oddly enough, they are not complicated at all, and some of them can be had for free. It’s the combination that hits the mark like nothing else. Not all clients are created equal. If you have a client from hell, you know what I mean. With the right mix of marketing tactics you get a higher level of client, who spends more money, who is happy to work with you, and who will buy from you year after year. You can fire the clients from hell. Getting the first sale is just the beginning. The real profit is in the lifetime value of your clients. With regular and often automated communication, you ensure that you get a continuous stream of income from a client once they come on board. In this report we share one marketing technique that's as old as the bible. It’s even mentioned and used in the bible. Yet it still has the proven power to attract the clients you want without resorting to painful, wasteful cold calling. You can use it to attract precisely the kind of clients you want without going out there on your hands and knees. The right low-cost automation can produce the work of multiple employees. Many business owners don’t realize they can market and sell, 24 hours a day, 365 days a year. Instead they focus only on what they can sell during the business day. Not using automation can cut your sales by half or more. When you're the expert, the right clients will flock to you...and will tell all their friends about you. Discover how simple it is to become the go-to expert in your field. Most business owners are experts at what they do. Almost none of them use these simple ideas to make it known. Whether you want your business to get the Inc. 5000 kind of growth like we did, or you just want to increase your sales and profits at a steady, reliable rate, you need to outfit your toolbox with the right stuff. 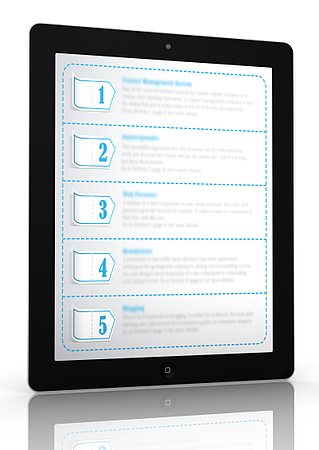 Claim your free copy of the 5 Small Business Tools Resource Report here. Inside we reveal 5 essential tools that can lay the foundation for solid, reliable business growth. Find out if you're missing one or more of these vital tools, and find out where to go to get them. In addition, you’ll also receive our Free Small Business Rainmaker weekly newsletter direct to your inbox.